The Revival Watch Prize is, according to the Grand Prix d'Horlogerie de Genève (GPHG), presented to the best watch presented in any of the competing categories to feature a contemporary re-edition or reinterpretation of an iconic historical model. 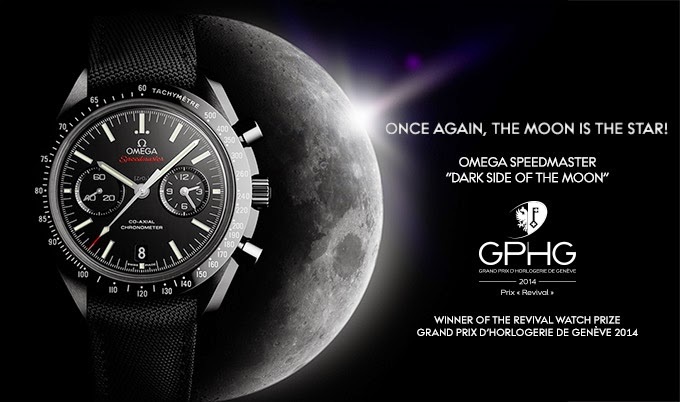 The OMEGA "Dark Side of the Moon" is a striking reinterpretation of the iconic Speedmaster Professional "Moonwatch". It is distinguished by a black ceramic case and dial and is powered by the OMEGA Co-Axial caliber 9300, the first of OMEGA's in-house Co-Axial mechanical movements to incorporate a chronograph function. 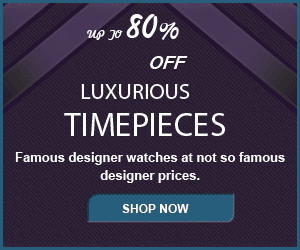 The watch has two sub-dials instead of the three associated with its famous ancestor. The 12-hour and 60-minute counter hands are placed on the same sub-dial at 3 o'clock allowing for an intuitive reading of the recorded time. The name of the Speedmaster "Dark Side of the Moon" honors the Apollo 8 astronauts, who in 1968 were the first people to see the far side of the moon with their own eyes. Notably, each was wearing an OMEGA Speedmaster Professional. More details about the Speedmaster "Dark Side of the Moon" can be found by following this link.